The 2018 edition of Dakar Rally has put the perseverance and fighting spirit of the Czech Tomas Ourednicek and David Kripal to a test several times, but Stage 7, first part of the infamous marathon stage was the most serious so far... "The start of the stage was OK, everything seemed to be fine, but then we ran into a deep river and the car stopped," Tomas Ourednicek reported. "I had to use the clutch to get out and after some kilometers it stopped working." 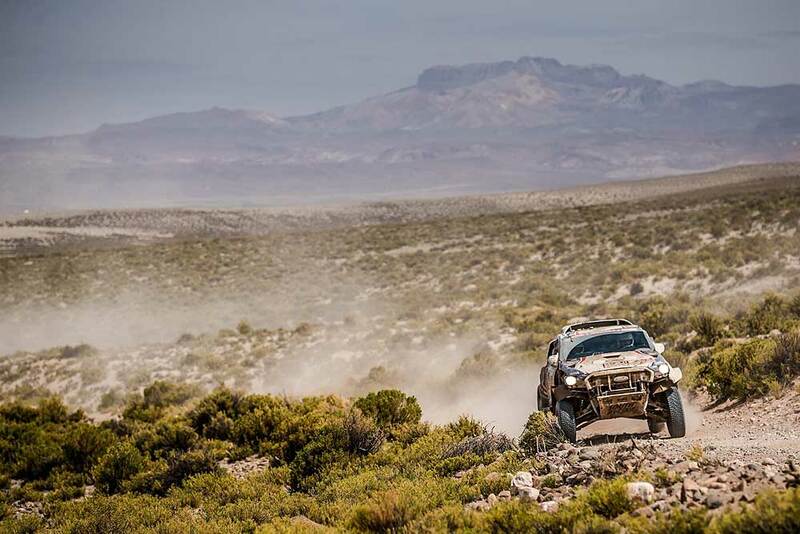 "It seemed like the Dakar was over for us. Then Mathias Behringer’s MAN-truck arrived to us, and with his help we managed to replace the clutch, but by then we had a huge time delay and were last on the track. We went into a heavy dune and sand passage where we went through as last, in complete darkness, and we got lost. We found a small house with two mattresses and decided to sleep there. But then we changed our minds and went on looking for the road in complete darkness, with flashlights." "We found the right direction, managed to drive through there and onto a wide road. After that we drove along the traces of the previous cars of the rally. Ahead of us were the last 350 kilometers in complete darkness. But when it seemed like everything will be alright, we ran into a deep puddle of mud, and we spent two or three hours trying to get the car out, but it was impossible by our own means." "The organisers called and told us we would be disqualified if we didn’t reach the bivouac until 8 AM. Once again, the race seemed to be over for us, so we took our raincoats and went to the village. But the organiser’s truck was just passing by and helped us to get out and after that we reached the bivouac with just minor problem." "We drove for 16 hours and in a short while we had to start in Stage 8. We are totally exhausted, but we did our best to be able to continue, because we really never give up," Tomas Ourednicek recalled what for sure was the toughest (race) day of his life.